Hullo! 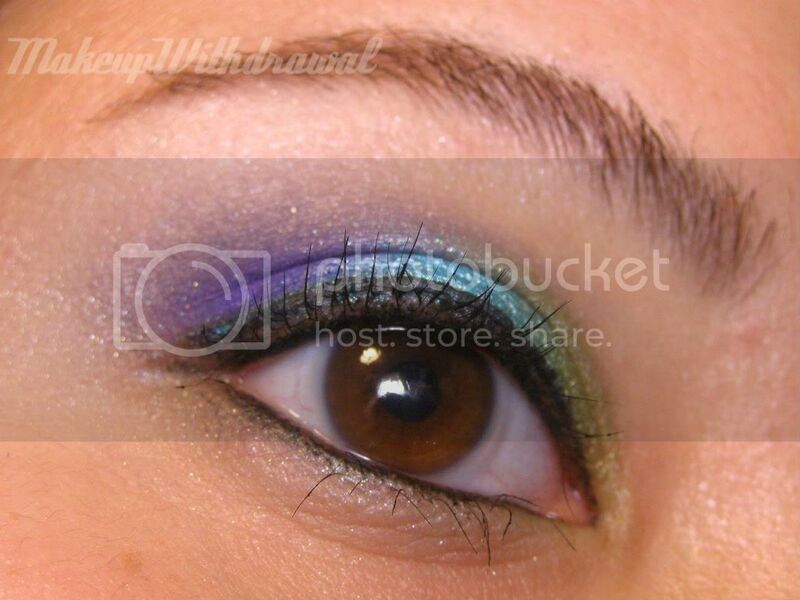 Today I used an eye shadow I made a few years back, when I was really obsessed with making mineral shadows. 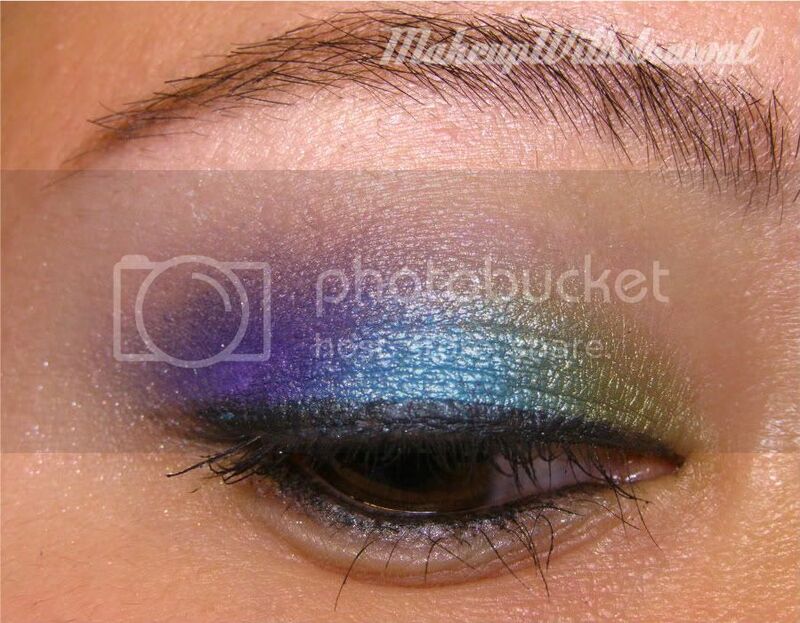 This one is called 'Poseidon', an overly shimmery sea green that shows up way more blue in these photos. The other two colors I used were Shiro Cosmetics Majora's Mask (the deep indigo with shimmer) and Kokiri Forest (that lovely olive). My eyelashes are starting to look respectable! Not utterly gorgeous, full and luscious ... but respectable. I'm getting there.